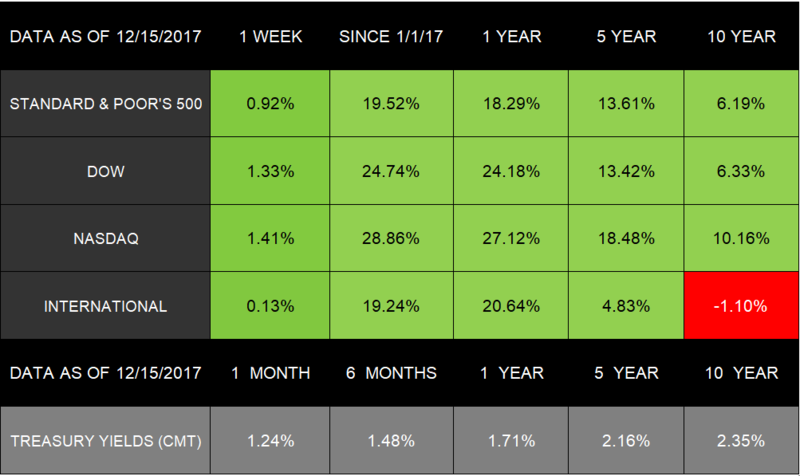 Together, this week’s market performance and economic updates may paint a picture of a healthy end to a year of significant growth. We will continue to monitor both geopolitical developments and economic data as they emerge. We look forward to seeing what is on the horizon for the rest of 2017—and for the year ahead. As always, if you have any questions, we’re here to talk. Preheat oven to 475ºF, and coat Brussels sprouts with olive oil and ¼ teaspoon each of salt and pepper. Place prepared Brussels sprouts on a greased, rimmed baking sheet, and put into oven. Roast for about 15 to 20 minutes, or until they tenderize and brown. Cover another baking sheet with aluminum foil, and put the sausage links on the sheet while the Brussels sprouts cook. Place baking sheet with sausage in oven and cook for about 15 to 20 minutes, or until links reach 165ºF. 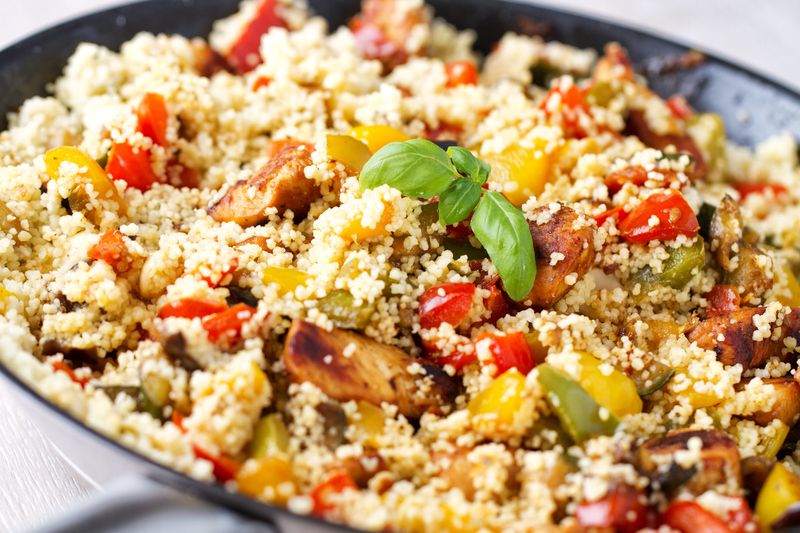 Mix the finely chopped carrots, peppers, and fresh mint into the cooked couscous. Add 1 tablespoon olive oil and remaining ¼ teaspoon salt. Toss until thoroughly combined. Top couscous with cooked sausage and serve with a side of Brussels sprouts. You receive a rejected e-file return from the IRS, stating they already have one for your identification number. The IRS turns down your extension request, stating they already have one for your identification number. The IRS sends you a notice on a detail you have not submitted to them. You receive a tax transcript you didn’t request or expect. Hold the paddle in one hand with the paddle face perpendicular to the ground. Keep your hand in the same grip position, which will reflect where you need your clubface during a swing. This should mimic having your bottom hand’s position square to the clubface. Practice swinging the paddle like you are going to hit a ball. Repeat multiple times until you feel comfortable with the grip. This technique should help square your bottom hand to the clubface at impact. Osteomalacia is a condition that results in bone softening—which differs from bone thinning (osteoporosis). Most commonly developed from deep deficiencies in Vitamin D and calcium, other contributors like kidney or liver disorders can also cause osteomalacia. Older adults are often prone to developing this condition, which can lead to bone fractures. The pain often worsens at night or whenever you put pressure on your bones. Eventually, you may end up having difficulty walking due to muscle weakness. Consult your doctor if you or a loved one may have symptoms. Many of the foods you eat every day may directly contribute to forest destruction. In fact, agriculture is responsible for 70% of the forests torn down in the tropics.11https://www.rainforest-alliance.org/articles/tropical-forests-in-our-daily-lives By better understanding the sources of the food you’re eating—and their environmental impact—you can minimize how much you affect global deforestation. Palm Oil: As one of the most processed foods on the planet (in 50% of total consumer goods), palm oil is contributing to deforestation at alarming rates. Every hour, the industry rips down 300 football fields worth of tropical forests to plant palm trees, since they grow best in tropical climates. Check the ingredients and purchase products without palm oil. Coffee: One of American’s favorite drinks is made from beans that, today, typically grow on plantations converted from rainforests. For perspective, a person who drinks 3 cups of coffee each day needs 18 trees to cover their habit. Next time you want a boost, look for “shade grown” coffee, which means it minimally affected the deforestation of native plants.